Material: Aluminium. Colour: Black. Size: 24 cm. Durable Non-Stick Double coated Aluminium Tawa of 1 Year warranty. It has excellent heat distribution system which is easy to clean and maintain. Premier offers non-stick tawas that are used for making dosas, pan cakes, omelette, utthappam and many other tasty dishes. 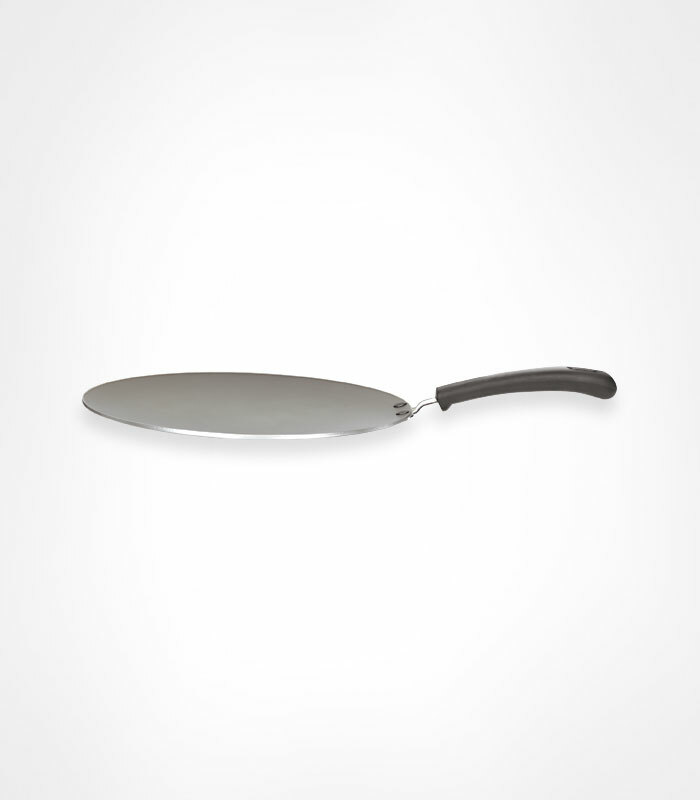 Non-stick tawas are modern, user friendly and require less cooking oil for cooking. They are made from the finest quality food grade aluminium which ensures safe cooking and longevity. The Tawas are designed in such a way that cleaning after cooking is also easier.